Sightseeing locations? Check. Place to stay? Check. Friendly locals? Check. These are all the expected things. If you are looking for something off the beaten snack (sorry), then food may be your number one priority. After all, we all have to eat, and for food lovers, there are some incredible places (and tastes) to explore away from your home country or the usual touristy places you may have frequented before. In this article, we will look at some of the best places to visit for food lovers. So, if your stomach is grumbling along with your itchy feet, here are the destinations you need to add to your travel bucket list. Certainly one of the most expensive places to eat – Japan has some of the most luxurious places to eat in the world, but the culinary delights on offer are completely worth it. And it’s not all sushi and ramen, either, as there is so much more to tantalise your taste buds, including the decidedly weird offerings here. 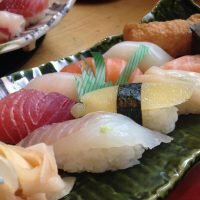 Travelling is all about experiencing something new, and the foods in Japan will definitely push you out of your comfort zone. Furthermore, thanks to the culture, you will also benefit from the traditional feel of Japan in some of their restaurants, with bamboo-mat flooring and Zen-like gardens. Still, if you are on a budget, and can’t afford to eat in the high-end places in the country, there are plenty of street vendors tempting you with grilled meats, octopus pancakes, and yes, the predictable but still tasty, sushi and ramen. Food is a big part of Singapore life, and because of the diverse cultures within, you have a choice of Chinese, Indian, and Malaysian foods to tempt you. Popular foods include fish head curry, barbecued stingray, pork ribs soup, and chillied crab. Like Japan, you may not be in a hurry to try some of the more peculiar food offerings – we aren’t sure about the fish head curry either – but you owe it to your taste palates to step out of your Western comfort zone. And here’s the thing about Singapore. It’s one of the safest and cleanest places in the world, so if you have ever worried about hygiene while abroad (especially when eating), know that you have less chance of a dodgy tummy after eating the delicacies on offer, whether you choose street vendors or the high-class diners. Long-term travellers should rent an apartment on the Toa Payoh HDB estate, the perfect place to begin your culinary adventures. Famous for more than Paddington bear and his honey sandwiches, Peru has been labelled one of the world’s leading culinary destinations by the World Travel Awards. If that doesn’t encourage you to visit, we don’t know what will! Thanks to the diverse mix of cultures that have settled in Peru this last 500 years, there are some wonderful food delights on offer. From Spanish colonization to the arrival of Chinese immigrants, you can really see these cultural influences on the menus in the places you visit. There is a mix of African, Japanese, and Italian food too, as well as traditional Peruvian foods, some of them combined with those other gastronomical influences. From fried guinea pigs (sorry pet lovers) to Amazonian jungle dishes, there is much to savour for all tastes. famous Italian pizza… and wine! Italy has some of the finest cuisine in the world, and unlike Japan, you are probably already familiar with most of their delicacies. Pizza, pasta, lasagne, ravioli gelato… get ready for a carb overload! There are other foods, of course, some of which you may never have tried. Ever tried bottarga (also known as Sicilian caviar)? Or what about arancino, delicious rice balls filled with cheese, veggies, and a variety of sauces? No? Well, these delicacies and more await you should you explore Italy in its fullest, and you are sure to come away feeling more than a little satisfied, as well as a few pounds heavier! Of course, Italy isn’t only about the food, as the landscape is gorgeous too. From Verona to Florence, ensure you visit some of the most beautiful places in Italy as part of your foodie expedition, and eat and drink while soaking up the breathtaking sites in this incredible Mediterranean country. When you think of Swiss food, you probably think of cheese and chocolate (especially Toblerones), and why not? There are plenty of cheeses to try for dairy lovers, and you owe it to yourself to tour the Lindt factory or take the chocolate train if you are a sweet lover. Still, there are other foods to try, in between your excursion up the Alps and your relaxation time in one of the many spa areas. Meat lovers will enjoy the Berner Platte, a veritable feast of meats and sausages. Vegetarians will enjoy Älplermagronen (we checked the spelling twice), a macaroni dish with traditional Swiss sauces. And for dessert, as well as Lindt chocolate or a bite of a Toblerone, you should also try Bűndnernusstorte (again, we had to double-check the spelling), a beautiful pastry mixed with caramelized sugar, cream and chopped nuts. Scrumptious. The hills really are alive with the sound of food lovers! Despite its reputation for fattening food, from delicious strudels to magnificently huge sausages, there are other items on the German menu. There’s Spätzle, an egg noodle dish for vegetarians (and anybody not keen on yet another sausage). You might also try one of Germany’s most popular dishes, Gulasch, a tempting mixture of meats and wine sauces. And there’s Maultaschen, a sacrilicious Swabian delicacy that has a fascinating story behind it. Of course, Germany isn’t only about food! It’s about beer as well, with a fine mix of ales to swill down those sausages. Check out Germany’s annual food festivals for a better look at what the country has to offer, and be sure to visit during Christmas for the range of festive treats on offer too. Pancakes, chestnuts, mulled wine, and… sausages await you, provided you wrap up warm! Have we tempted your taste buds? We hope so, as there are some fabulous places to eat in the world, and you owe it to your belly to explore them. Let us know what you think, and if we have missed something off this list, be sure to give us a shout. Thanks for reading, and happy eating!